In March, TDS TV on Demand offers up a host of films that will take you to some amazing worlds. First, there is a return to the Potter-verse with the highly anticipated “Fantastic Beasts and Where to Find Them.” Next, take a mind-blowing trip to 15th century Spain with the thriller “Assassin’s Creed”—an adaptation of the highly successful game franchise of the same name. After that, travel to feudal Japan in director Martin Scorsese’s introspective “Silence.” If that sounds a little heavy, then follow it up with the animated smash “Sing,”a family film that will have everyone laughing—and singing—in front of the television. Finally, bring it home to Boston for “Patriots Day,” a faithful retelling of the 2013 Boston Marathon bombing. Available March 21. Rated PG-13. Adapted from the best selling video game series, “Assassin’s Creed” is an ambitious and intriguing tale that mixes science fiction and history and fantasy. In the movie, a revolutionary technology unlocks the genetic memories of a man (Michael Fassbender), allowing him to experience the adventures of his ancestor in 15th century Spain. “Assassin’s Creed” suffers at times from its complex story – not to mention a fair dose of gloom – but the action is good and the set pieces are often stunning. Marion Cotillard co-stars. Available March 21. Rated PG. The title pretty much says it all. “Sing” is sort of an animated “American Idol” of misfits – but way more fun and much cuter. The film is helped by some outstanding animation, plus an accomplished cast, including Matthew McConaughey, Reese Witherspoon, Seth MacFarlane, Scarlett Johansson, Jennifer Hudson and many others. “Sing” is enormously fun, and kids and adults will find themselves joining the revelry. Available March 28. Rated PG-13. 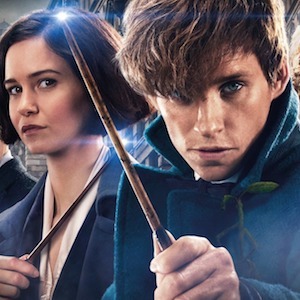 With Harry Potter in the rear view mirror, “Fantastic Beasts and Where to Find Them” is your chance to return to the wizarding world created by J.K. Rowling. “Fantastic Beasts” follows the adventures of a young British wizard (Eddie Redmayne) who comes to New York in the 1920s. The film – which features some beautiful sets and outstanding effects – strikes a nice balance of wonder and amazement and adventure. Redmayne is superb in the lead role, and perfectly supported by Katherine Waterston, Colin Farrell, Dan Fogler and Samantha Morton. Available March 28. Rated R.
“Patriots Day” is an efficient, tense and dramatic retelling of the events surrounding the 2013 Boston Marathon bombing, which killed three and injured hundreds. The movie doesn’t try and be anything fancy – making it a highly effective – and emotional – thriller. Mark Wahlberg stars – but it is the city of Boston that is really the hero in this film. Legendary filmmaker Martin Scorsese brings to the screen this emotional and reflective tale of two young Jesuit priests (Andrew Garfield and Adam Driver) who travel to Japan in the 17th century in an attempt to locate their mentor (Liam Neeson), who is rumored to have renounced the church. “Silence” is a deliberate, thoughtful film where the characters – and the viewers – are forced to question their core beliefs. Due to some of the scenes of violence and torture, “Silence” is difficult to watch at times. But it is a thought-provoking and rewarding journey from one of Hollywood’s greatest directors.